Gessori form a species of cephalopod enemies originating in Donkey Kong for Game Boy. Two of them are seen in Stage 3-7 on the Ship, where they swim around in the water at the bottom of the stage's room. Gessori follow a set horizontal line and swim by propelling themselves with their tentacles, changing direction whenever they encounter one of the room's limits. 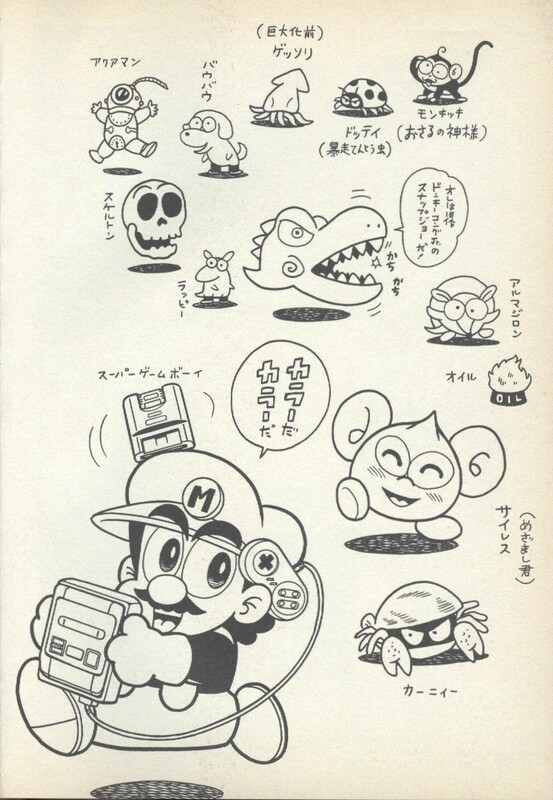 They damage Mario upon contacting him, and there is no way to combat them. Gessori Pun on 「げそ」 geso (squid legs); similar to Blooper. This page was last edited on December 31, 2017, at 02:09.